C.A.R.E. Dental Hygiene opened its doors in August 2008 to the citizens of Dundas, Hamilton, and Ancaster. 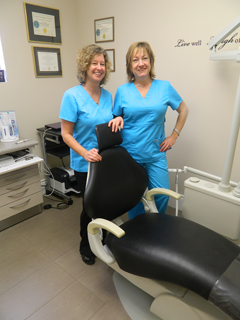 It is owned and operated by Barb Consoli, Registered Dental Hygienist (RDH). The office is bright and cheery with lots of natural light and has a relaxing atmosphere. There are no typical smells or sounds (noisy drills) often found at a dental office. We have a play area for children in the reception area. There are 2 clinical rooms to service clients that wish to be treated at the same time. We appreciate busy lifestyles and realize that convenience and efficiency are important to you. With the passing of Bill 171 in September of 2007, Ontario ushered in a new era of preventative dental hygiene care. This legislation allows you to choose your dental hygienist, a provider in preventative oral care, and to obtain competitive, affordable, professional oral care treatment. C.A.R.E. stands for Clean, Affordable, Reliable...Everytime! - our core values. At C.A.R.E. Dental Hygiene, our Dental Hygienists are dedicated to providing excellence in clinical treatment and oral health education for all age groups. We work collaboratively with your dentist or refer you to one of our supporting dentists and/or specialists in the community. We offer alternative appointment times that suit your busy lifestyle and have low to no wait times. Your time is as valuable to us as it is to you. We have a relaxing, bright, comfortable setting in the heart of Downtown Dundas, Ontario. 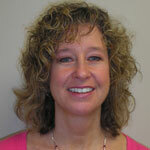 Barb Consoli (nee Herauf), RDH has over 19 years experience as a dental hygienist. She worked as a dental assistant for 4 years prior to going into a dental hygiene program. She has lived in Dundas for 43 years and has settled here with her husband and 2 children. 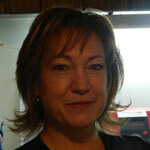 Bernadette MacKay, RDH has over 15 years experience as a dental hygienist. She is an educator, promoter and provider of custom- fit mouth guards for the prevention of dental sports injuries. She also resides in Dundas with her husband. Pat James has over 40 years experience as a dental receptionist. Barb worked with Pat for 15 years at a dental office in Dundas and is very happy to welcome Pat at her practice at C.A.R.E. Dental Hygiene.